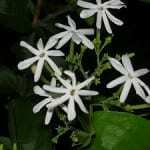 She’s a lovely flower with a long history of use as a given name. 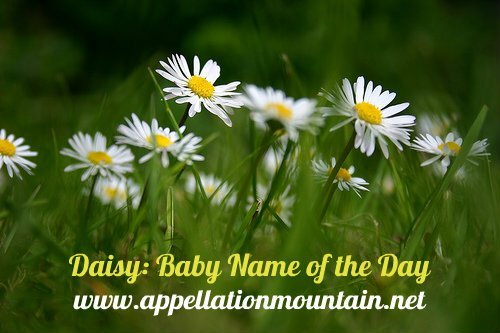 Thanks to Kristin for suggesting Daisy as our Baby Name of the Day. Daisies are usually white petals around a sunny yellow center. 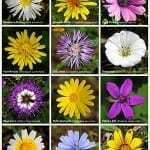 Plenty of related flowers might be called daisies, and they extend the range of colors well beyond the conventional yellow-white. The scientific name is pleasing, too – bellis perennis, everlasting beauty. Daisy comes from the Old English daes eage – day’s eye. Chaucer called it “eye of the day.” The yellow center was thought to symbolize the sun, and the whole flower closes at night and opens in the morning. It was once known as Mary‘s Rose. It seems like daisy wasn’t the typical name for the bloom until pretty late in the game – maybe the 1700s. Victorians were nearly as inventive as twenty-first century parents, and they adored floral names. A happy coincidence associated sweet Daisy with the enduring Margaret. Margaret comes from the Greek word for pearl. But Marguerite – the French form of the name – became associated with the daisy in French. It’s said that daisies were the “pearls” of the field, and so became known as marguerites. Marguerite was also the French form of Margaret, so by a bit of folk etymology, the French Marguerite and Spanish Margarita both became associated with the flower. Louisa May Alcott gave the grown-up Little Women character Meg a daughter Daisy – but they’re both named Margaret. Princess Margaret of Connaught was one of Queen Victoria’s granddaughters, and Crown Princess of Sweden. She was nicknamed Daisy. One of Princess Margaret’s children was Ingrid. The Swedish princess married the future King Frederick IX of Denmark. Their eldest daughter is Margarethe, named for her grandmother – and currently Queen of Denmark. She’s also known as Daisy. But not every Daisy is a Margaret. Henry James’ 1878 novella Daisy Miller lends the name a literary bent, but his Daisy was born Annie. She’s a flirtatious American abroad. She ends badly, but there’s little doubt that Daisy is an innocent – clearly the reason for her name. A 1974 film adaptation starred a young Cybill Shepherd as Daisy. F. Scott Fitzgerald gave us an even more famous Daisy. Jay Gatsby longs for the lovely – and unhappily married Daisy – and has since before he made his fortune. Thanks to an upcoming Baz Luhrman adaptation, all of the Great Gatsby names could get a boost. Then there’s “Daisy Bell,” a song you probably know better as “Bicycle Built for Two.” Harry Dacre penned the song in 1892. It’s remained popular ever since. Celebrity babies: Meg Ryan has Daisy True; Jamie Oliver has Daisy Boo Pamela. Jon Cryer and Lucy Lawless also chose the name. Overall, Daisy is darling. If you fret that she’s not substantial enough on her own, you can always put Margaret on her birth certificate. 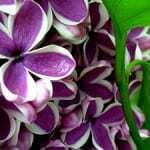 But in our age of floral favorites, from Lily to Violet, Daisy seems like a lovely botanical option for a daughter. 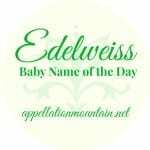 We named our first daughter Daisy (She is nearly 6 now) and I can’t praise the qualities of the name enough! Not only is it easy to spell, read and be understood when said out loud – but it captures beauty and whimsy to me. She is the only Daisy in her school, which I love – she will never be Daisy D. because Daisy stands on it’s own and isn’t common. 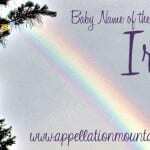 I ADORE this name and have only grown to love it even more over the last 6 years. As a kid I imagined I’d have a daughter named Daisy. I even knew what she’d look like – long, chestnut brown hair with a slight wave! Fast forward to me as an adult and my daughter isn’t called Daisy (although her hair does match). I still think Daisy’s a great name, as a nickname or all on its own. I’d love to meet one. It’s a very pretty name but not strong enough for me to use. Possibly also a lot to do with the close association of the name to pet cows. My son goes to Montessori with a Daisy and she is a gorgeous wee thing, such a sweetheart. If I was to use Margaret or a variation it would definitely be to get to the name Maisie instead. Elizabeth Daisy, perhaps? He and I both love Elizabeth, though I waffle on how much its popularity bothers me. There is a little girl at our church named Elizabeth (aged 7), but she is always called Libby. Oh, Elizabeth Daisy is very pretty! My great-grandmother was a Margaret who was called Daisy, and I always loved it. Unfortunately, with the last name Duckworth it’s not an option for any daughters of ours! Daisy is such a sweet name! I love it so much that I gave it to my dog. I sometimes wish that I had saved it for a future daughter, but Daisy suits my little spaniel so perfectly that I can’t really regret it. I would love to meet a little girl named Daisy. This name is deserving of being used a little more frequently. Woah…. my daughters name is Daisy and i have a cocker spaniel! How wierd!!!! Am I a huge weirdo to read this post and fixate on Bellis? Cuter than Ellis, a bit Belle + Alice? I don’t really like Daisy by itself, but I have adored the name Marguerite since I was little (with a friend named Marguerite…) and Daisy is cute as a nickname. When I was younger, I had a much loved labrador called Daisy. So, although I wouldn’t use it for my own daughter for that reason, it has very positive associations for me and I’d be delighted to meet a little girl called Daisy.